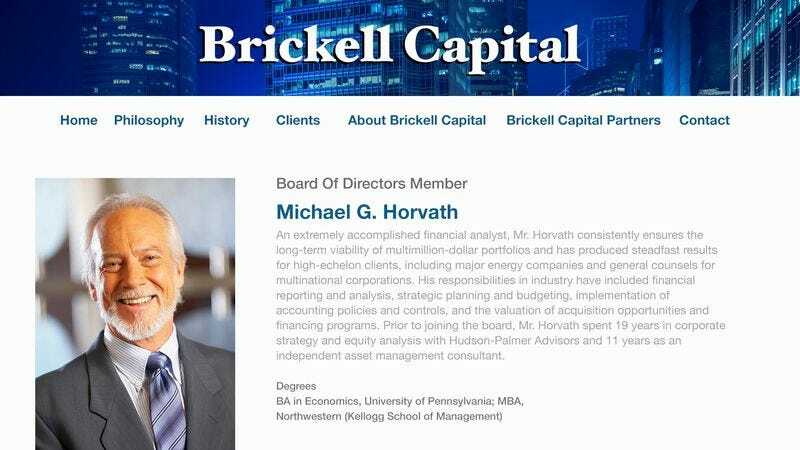 NEW YORK—In an effort to portray the recent appointee as something more than a lengthy list of job titles and academic credentials, the bio of new Brickell Capital board of directors member Michael G. Horvath reportedly featured a single humanizing detail tacked onto the very end, sources reported Tuesday. “Prior to joining the board, Horvath spent 19 years in corporate strategy and equity analysis with Hudson-Palmer Advisors and 11 years as an independent asset management consultant,” read the second-to-last sentence of the 450-word bio, which up until the final nine words had given no indication that Horvath had anything in his life other than his lengthy career in the financial sector. “He lives with his wife, Cheryl, and two daughters.” According to sources, a small number of other bios humanized their subjects even further, briefly mentioning their fondness for sailing or the arts.